Crude oil inventories decreased by approximately 6.3 million barrels in the week ended June 30. The draw beat consensus, which expected stockpiles to fall by about 1.8 million barrels for the week. WTI crude oil prices shot past $46 per barrel following the news before setting around $45.30 per barrel, up from the previous day’s close of $45.13. Inventories remain above the five-year average despite the draw today as production continues to outpace demand. The surprise draw excited markets which have struggled to keep oil prices above $50 per barrel since the concerns of oversupply began in late 2014, but a 6 MMBO draw will not be enough to maintain a price increase. Past draws on the crude oil inventory have also excited markets into rallying, but none have yet been able to sustain the gains. With the summer driving season now starting, it is unsurprising that there would be a draw in inventories. Looking at the last five years of inventory data, crude supplies typically start to draw down in the beginning of June through mid- to late-July. The trend in inventories since May of this year has tracked closely with the same time period last year, with the exception of remaining slightly higher. Given the pattern over the past five years, inventories will likely continue to draw down over the course of the summer driving season before beginning to increase again come August. Motorists in the U.S. are on track to drive more miles this year than at any other time since 2000, which will help drive demand for crude stocks and gasoline, but markets appear to be waiting for a more substantial indication that the supply overhang is being absorbed before pushing crude oil prices back toward $50 per barrel. Inventory drawdowns have resumed at the beginning of September in years past. 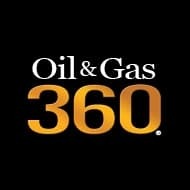 If that trend continues this year and coincides with a slowdown in drilling, prices could show more sustained improvements, but operators have shown little sign of slowing down as oil remains in the $45 to $50 range, and each new well drilled continues to perform better than the last as operators refine their completions. No. Channel stuffing does not lead to reduction of inventory. An extra 18 million barrels was supplied to US retailers, over and above average consumption levels. Products Supplied went up 13% in 1 week. Channel stuffing just pushes inventory out to retailers. It only hides the fact that inventory levels are failing to decline.